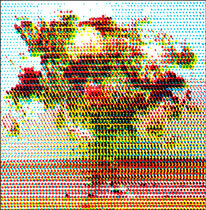 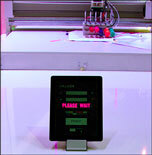 Paul Ferragut is a creative technologist exploring digital art through interactive installations. 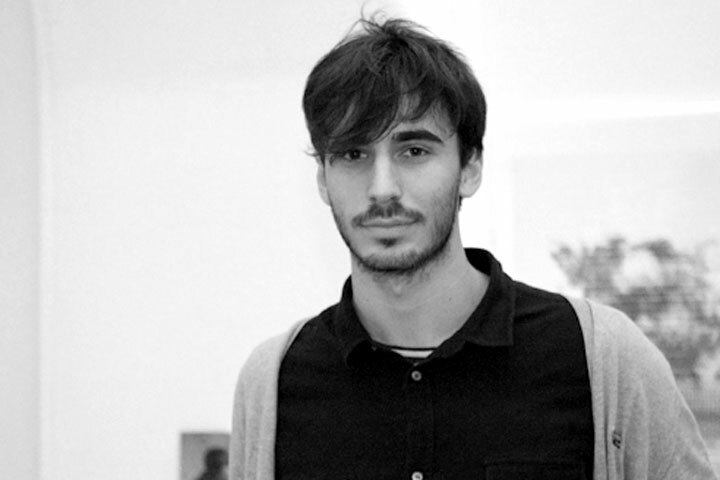 He researches creative coding and physical interaction, seeking opportunities to bridge his practice with other artistic disciplines. 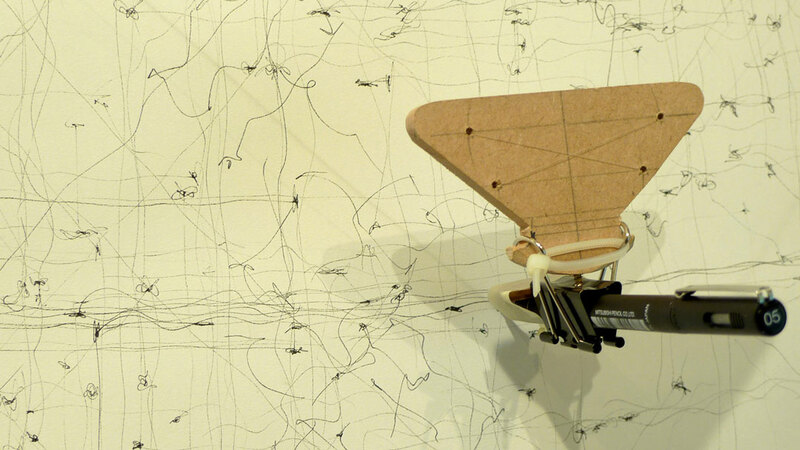 Recent installations include drawing and performing machines, all aiming towards a humanization of technology. 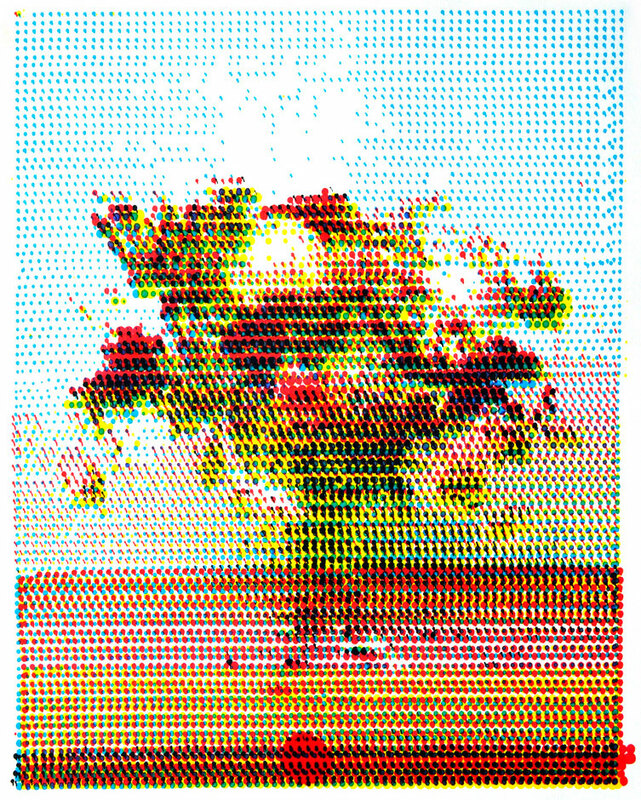 More information is available at paulferragut.com. 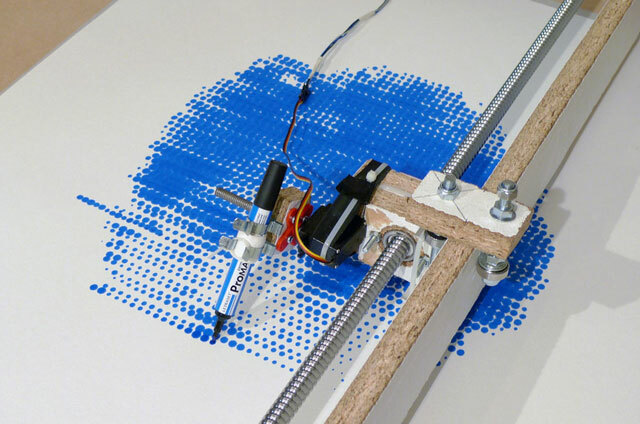 2011 — HAND-TRACKING DRAWING MACHINE. 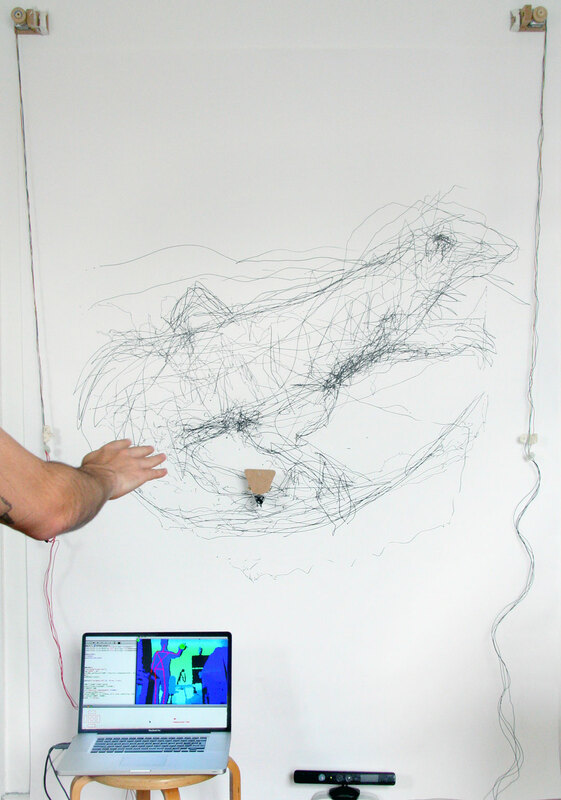 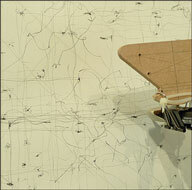 The hand-tracking drawing machine is a new creative tool using a motion sensor (Kinect) with a motorized drawing device. 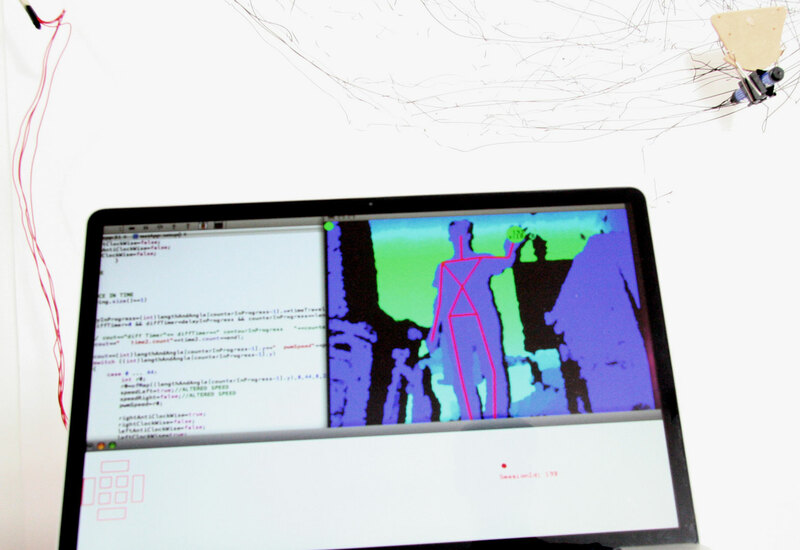 The project was initiated with the release of the Kinect, which is used almost exclusively for screen-based applications. 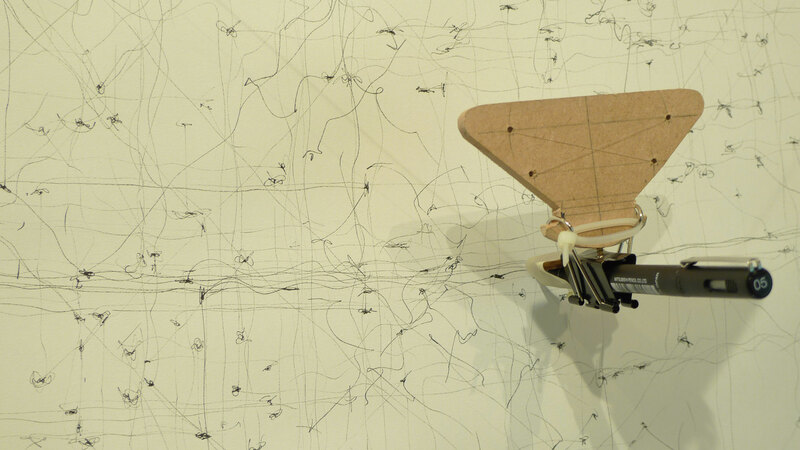 The project investigates the process of drawing and the gesture of the painter, thus focusing on the performance of making art as much as the outcome. 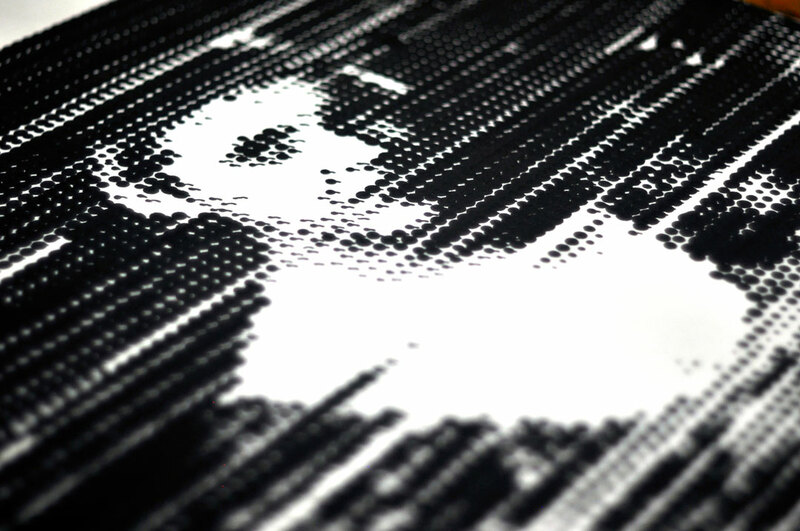 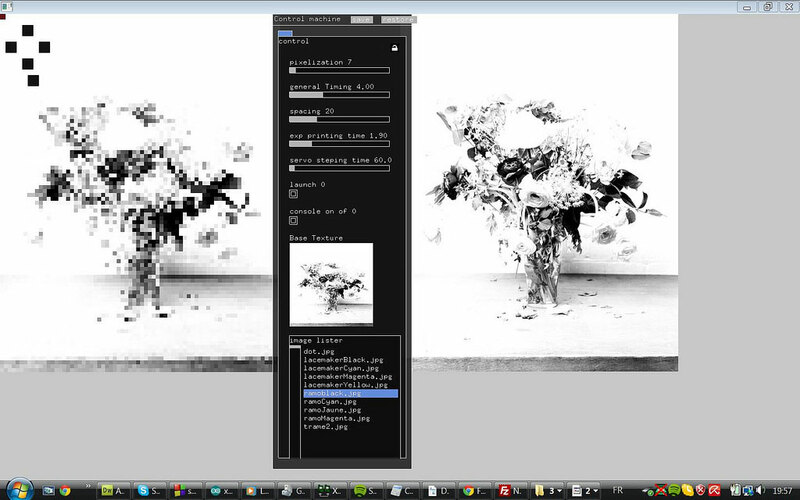 After several prototypes, the most recent version of the machine uses an application made in C++ with openFrameworks, ofxKinect and firmata libraries. 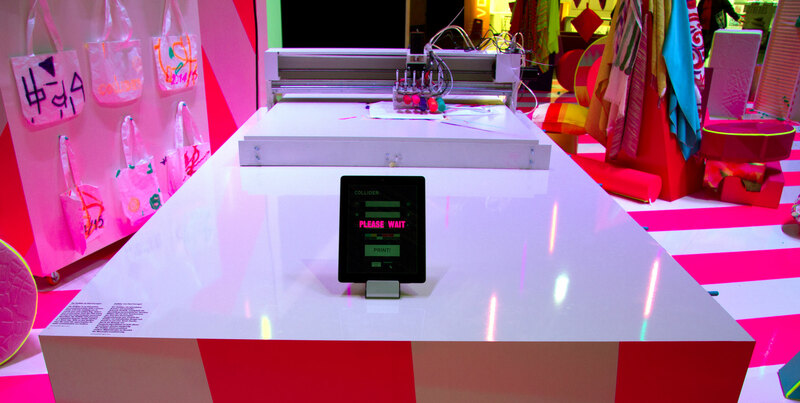 Data from the Kinect are collected with openNI2TUIO and sent to the application, which communicates with an Arduino micro-controller, activating stepper motors accordingly. 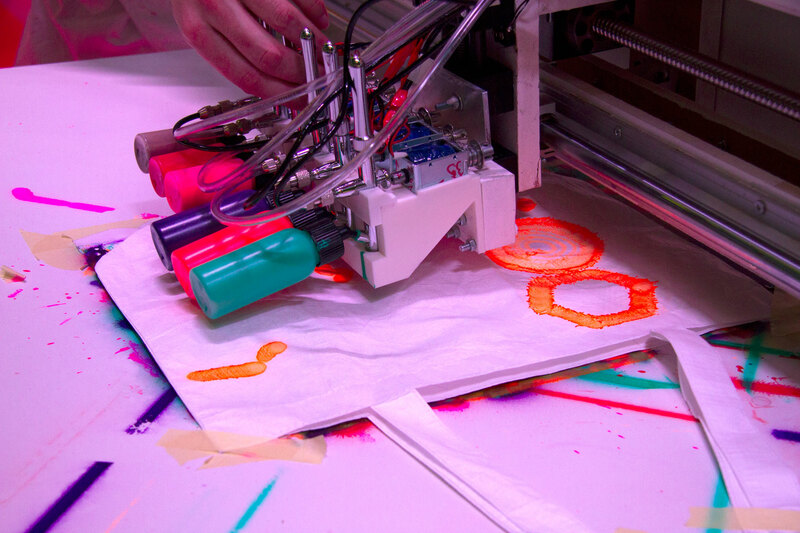 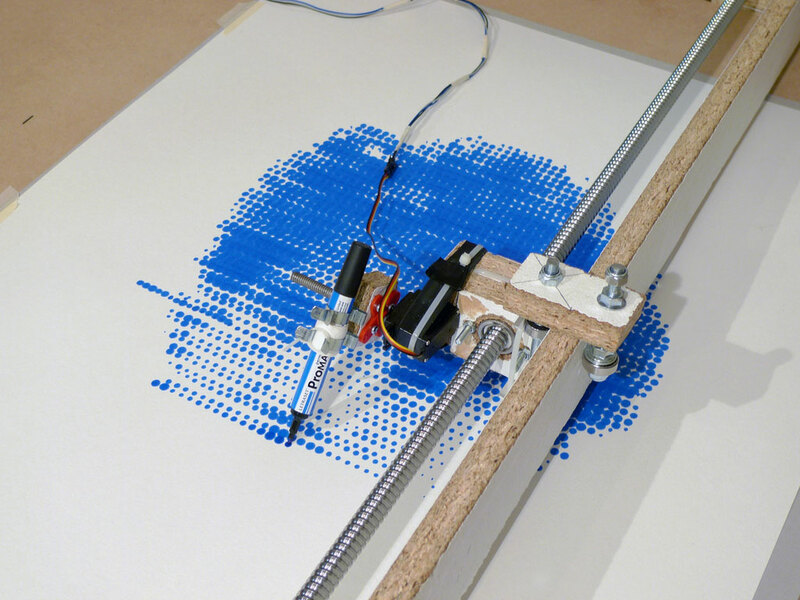 2011 — TIME PRINT MACHINE, a DIY printing system using felt pen on blotting paper. This machine functions in a similar way to a CNC machine, with an incorporated program to print any image using a time-based algorithm. 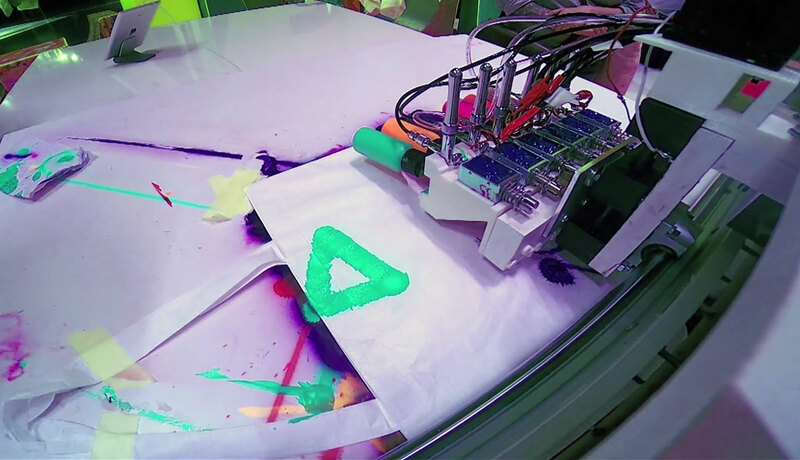 According to the grey value of a pixel on an image, the felt pen remains in contact with the blotting paper for relative periods of time. 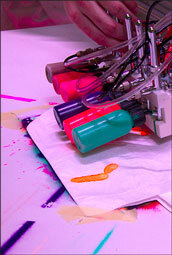 Consequently, the ink bleeds through the paper creating a variety of sized stains, gradually building the image. 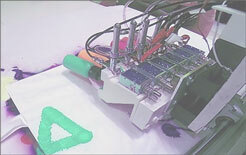 It can take around 34 hours to print one color image. 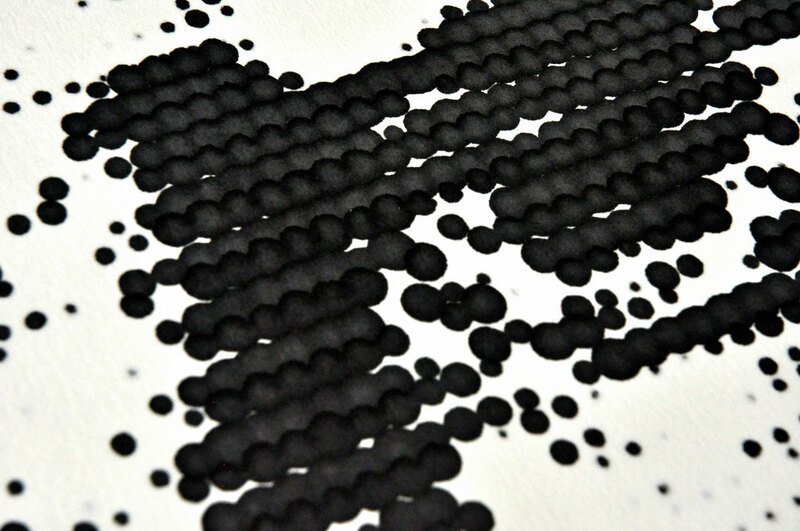 The slow process and its imperfections make every print unique.